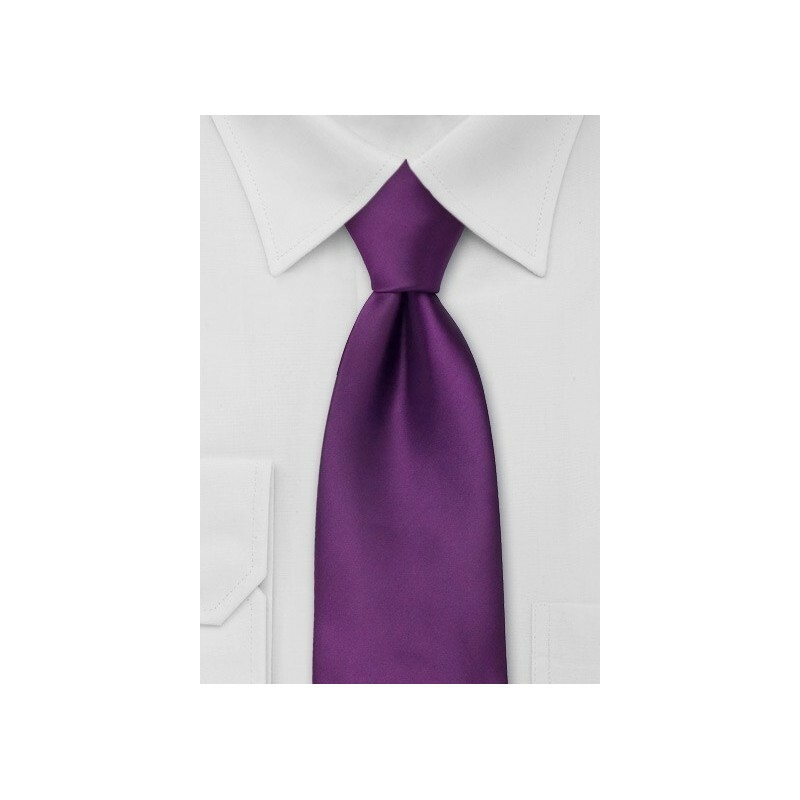 This bright purple necktie is perfect for the fashion conscious man. It is a tie that has a brilliant shine which brings the tie to life. 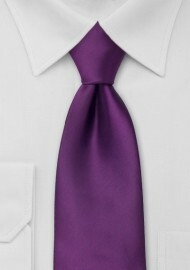 This tie looks best when worn with a gray suit and dress shirt in white, lavender, or light gray. This tie is made from a stain resistant microfiber. It is a fabric that looks and feels almost identical to silk but has the advantage of being much more resistant to stains and wrinkles. It is the prefect fabric for solid and light colored neckties. Tie Length: 58"", Width: 3.25"